You will learn how to practice more effectively and a lesson summary with a built in plan to get the most from your game next season. 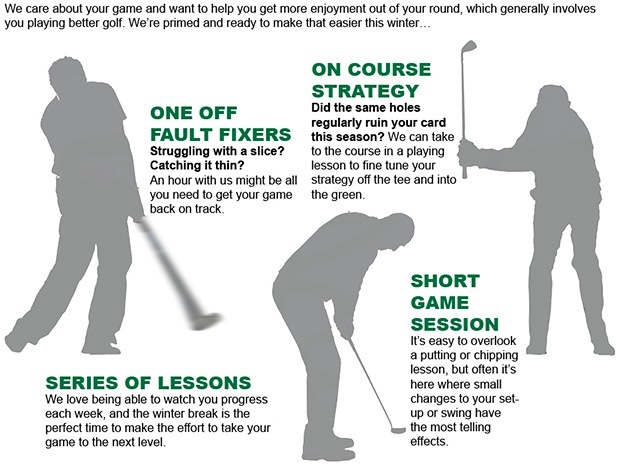 The regular price for this package is €235, but my winter coaching offer is €175 ! 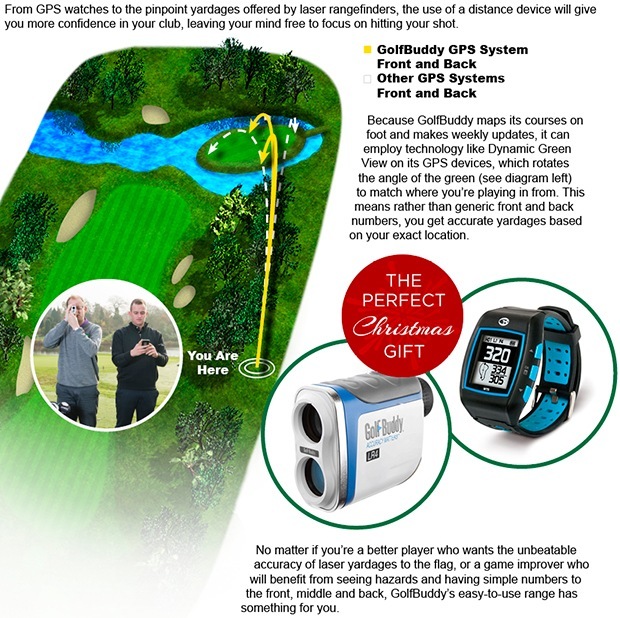 This would make an ideal Christmas Gift or an investment for your game for 2016! There are 20 of these packages available. With Christmas in mind and our new Navy colour proving very popular with both the men and the ladies we have a special offering for the festive season. There are two order forms for ladies and gents ranges in Navy with lambswool and cotton and also some polo neck and jackets to choose from. All items carry the club logo and there is discount for more than one purchase. Items can also be bought in a presentation box which could save you some time and hassle and they make for a really nice present for Christmas. All you have to do is complete the form online or print off and return to the pro shop. There are some great bargains to be had this time of year as shops clear out stock for the new season and for Christmas. 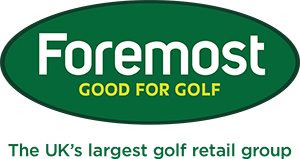 We are often just running in and out getting our nine holes in and can often overlook some valued savings in items that we will need going forward and miss some great bargains. Lithium is the buzz word at the moment in reference to electric trollies and some of you may have noticed our new fleet of Motocaddy rentals which carry the lithium battery. If you are in the market for a new trolley or battery I would reccomend you look at the Motocaddy offer between now and December 24th. This is offering €60 cash back on the purchase of any new Motocaddy trolley against a lead acid Motocaddy trolley, meaning your lithium upgrade is effectively costing €90 . This is a great saving when you consider new lithium batteries can be up to €349 euro! Dont forget our 50% sale on bags, shoes and most importantly, clubs! 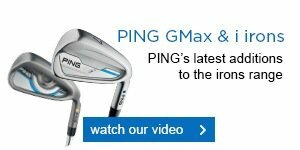 All clubs in stock are reduced, which represents some incredible value! Stock is running out fast so come in and take a look next time you are at the club!